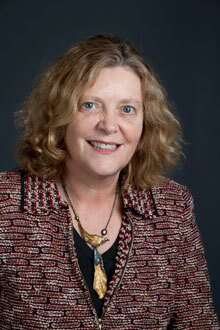 Public health researcher and educator Claire Sterk will become Emory's next provost Feb. 1. Emory University's next provost is acclaimed public health researcher and educator Claire Sterk, according to an announcement by Emory President James Wagner. Sterk, Emory's senior vice provost for academic affairs, was named provost effective Feb. 1 after a national search led by Candler School of Theology Dean Jan Love and a 15-member search advisory committee. Sterk had been serving as acting provost since early November following the departure of Earl Lewis, who left to become president of the Andrew W. Mellon Foundation. "Claire Sterk has distinguished herself within an extraordinary field of national finalists," said Wagner. "We will look for Claire, early in her tenure, to begin to define a creative process to continue Emory's current strategic plan, refining Emory's global strategy, pursuing strategic partnerships with other academic institutions, and continuing our strategic discipline around enrollment and financial aid practices." "I am deeply grateful to Emory for providing the extraordinary opportunity to serve as provost," said Sterk. "I envision spending a significant amount of time reaching out to the Emory community so that we will develop a shared vision of Emory's future aspirations and strategies to achieve them." Sterk was appointed in 2005 to serve as Emory's first senior vice provost for academic planning and faculty development, charged with overseeing the development of academic/research programs in areas including faculty retention, recruitment and early retirement, and faculty and student initiatives. "As chief academic officer, Claire will play a key role in engaging faculty more deeply in shared governance and in defining Emory's opportunities for the future of liberal arts education, specifically for the use of new technologies and teaching strategies, and for a better understanding of the new and changing financial landscape," said Wagner. A member of the Emory faculty since 1995, Sterk was appointed Charles Howard Candler Professor of Public Health in 2000. She is a former associate dean for research in Emory's Rollins School of Public Health, serving for five years as chair of the Department of Behavioral Sciences and Health Education. Sterk also holds faculty appointments in sociology, anthropology, and women's, gender and sexuality studies. A native of the Netherlands, Sterk holds a Ph.D. in sociology from Erasmus University in Rotterdam and a doctoral degree in medical anthropology from the University of Utrecht. She has focused her sociological research on connections between drug and alcohol abuse and high-risk behavior.